Munsyari: The story retold - Ghumakkar - Inspiring travel experiences. If you decide to meet your destiny, God will help to achieve this, I had gone through this phase. 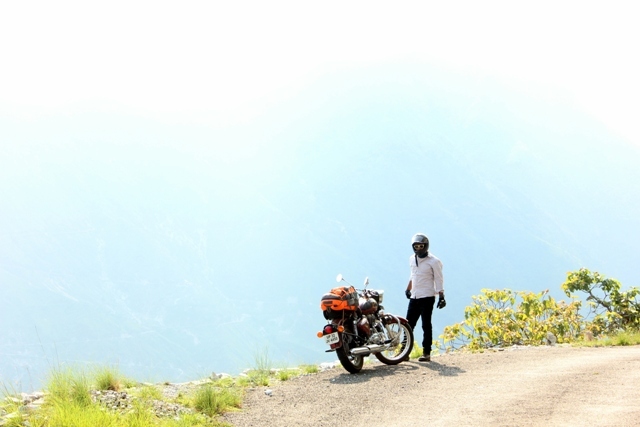 My childhood dream was to drive on hills on a grand Royal Enfield machine. This dream came true on 20th June 2018 when five of my friends (me Mohammad Saleem Haider, Rakesh Kumar Singh, Praveen Kumar Aswal). 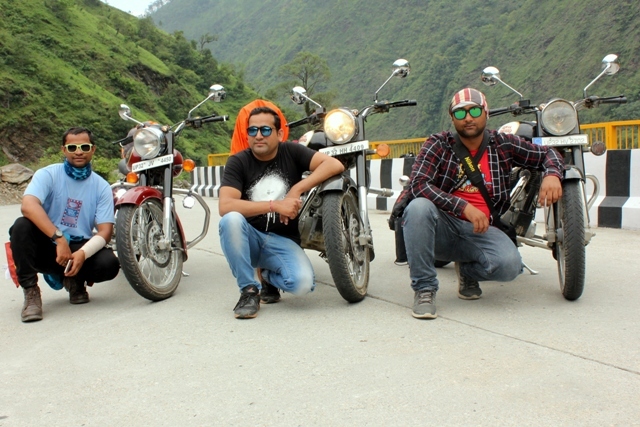 all three riders of their Royal Enfield Classic 350, with the pillion on Rakesh and Praveen’s bike, is Vijay Sharma and Mohit Srivastava. 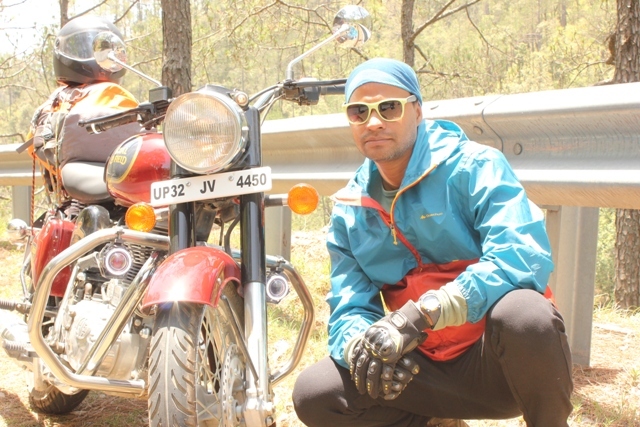 I was driving solo (which was a big gamble to ride 1500 km alone) with other two bikes with rider and pillion. 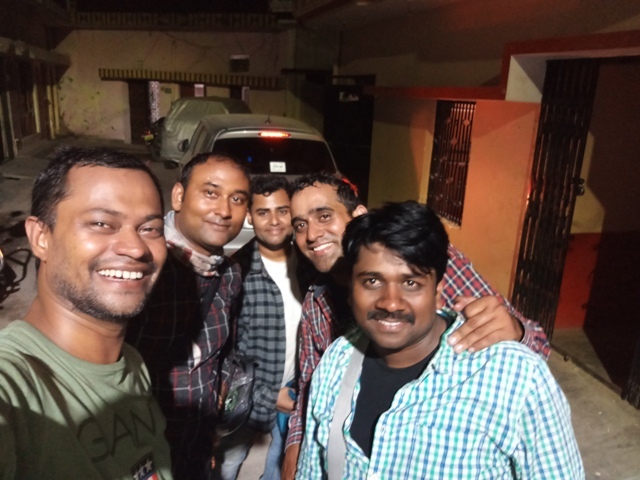 We started at 5 am early morning from Lucknow to meet the first destination; Nainital, it was an almost plane drive with only 35 km Haldwani to Nainital. We reached around 3 pm in Nainital and checked in to our hotel on Zoo road. 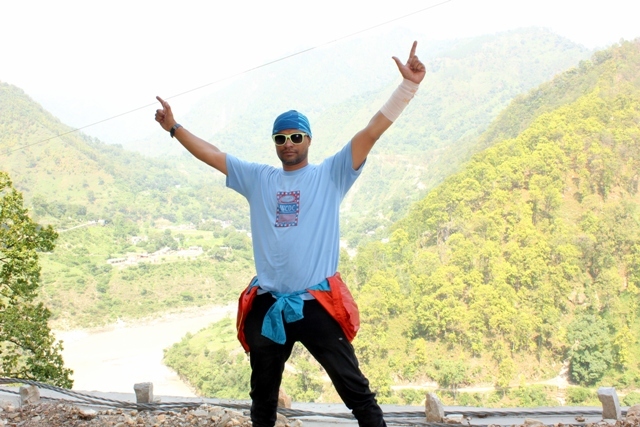 Next morning after breakfast we continued our journey to Pitthoragarh via Almora about 180kms drive on hills. 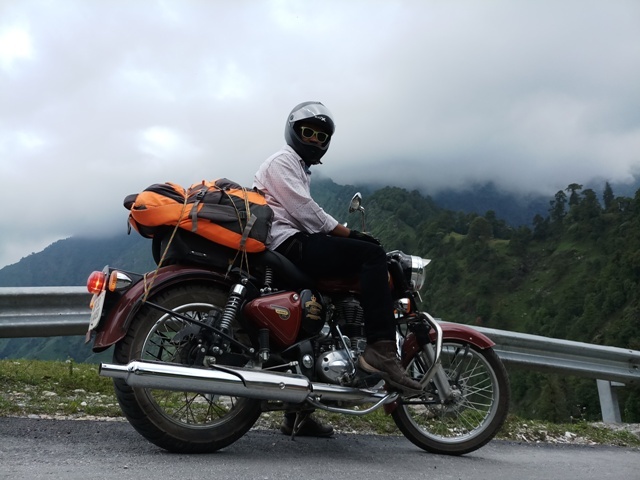 It was an awesome journey with cool climate since we left a hell 45-degree temperature at Lucknow, about 45 km before Pitthoragarh I faced an accident. Actually, it was not an accident but a lesson for me that while riding on hills, you just can’t be a tourist. I saw a beautiful mountain, a white one, about 3 km before it actually existed. When I came near it and passed around the corner and bent, I just moved my head to see it properly and it happened. I couldn’t bend my handle of bike according to the turn of the curvy road and the bike lost its control and fell on the left-hand side of the road. My bike lay down just 2 feet from the edge and it was an almost 100-150 feet valley. It was just the mercy of God, my daughter’s well wishes that I saved my life there. Now my partners were ahead of me and there was no one in that place, I tried to lift the bike but there were lot of small pebbles and dust which was not giving me a proper position to lift the bike, after 7-8 times attempt I finally lifted the bike and stood on main stand, by doing this my thumb and wrist joint bone on my left hand felt hurt, well I continued my journey and reached Pitthoragarh at 7 pm. Now after breakfast we decided to leave Munsyari and move to our next destination that is Almora again via Bageshwar, it was a big patch around 210 kms with travelling through one of the best scenic mountains, waterfall, valleys, forest and we started our trip after breakfast at 9 am but things to worry happen, Praveen bike was not well its battery was dying and there was some more problem with the starting of the bike, we tried to repair on our own for the first 30 minutes and it fails and we decided to put the bike to the mechanic, luckily there is a bike mechanic at Munsyari who is very talented and he takes around 2 hours to relive the bike once again, we had wasted almost 3 hours here at Munsyari and around 12 pm we started our journey, we plan our first stop as Birthi Fall, now when just covered 20 kms from Munsyari I told you I saw the deadliest roads of Uttrakhand, it was a huge mountain fully covered with clouds and somewhat rain also, I was terrifying on that road it was very narrow full of curves, lots of water stream flowing through the roads which is making driving too dangerous and adventurous, we slope down to Birthi Fall with engine off for around 20 kms. I hope, it was a long slope and very high altitude mountains, Birthi Fall was awesome, fall was not such heavy but quite elegance as always, we stayed there for 1 hour and enjoyed Maggie and tea and continued to our journey, before Bageshwar I told you it was one the best scene of mountains you can watch, beautiful roads with yellow forest, I seen a lot of baboons and monkeys over there, we reached Bageshwar at 7 pm and believe me we were just exhausted but since our halt was at Almora so we taken some snacks and tea at Bageshwar main market and continued our journey to Almora with head lights on, I really recommend bike riders to usually do not ride in nights on hills, if you are in group than it is not so risky but for a solo rider it is not advisable, Aag me Ghee is that we just stopped for water in between Bageshwar and Almora the Uncle there told us that there might be chance to see Tigers on the roads to Almora, we were shivering not of cold it was because of threat of Tiger, alas we reach Almora at 10 pm and check in to hotel. Mind blowing man you did the tour with broken hands, that’s the sign of a true dedicated Rider, me too planning to visit Munsyari this winter, is it advisable to ride on car in winters? I really enjoyed reading about your travel sojourn from Lucknow to Munsayari. you have taken Birthy fall pic beautifully. Very brave and courageous attempt for your journey. Munsiyari indeed a beautiful scenic place. Thanks for sharing your ride. 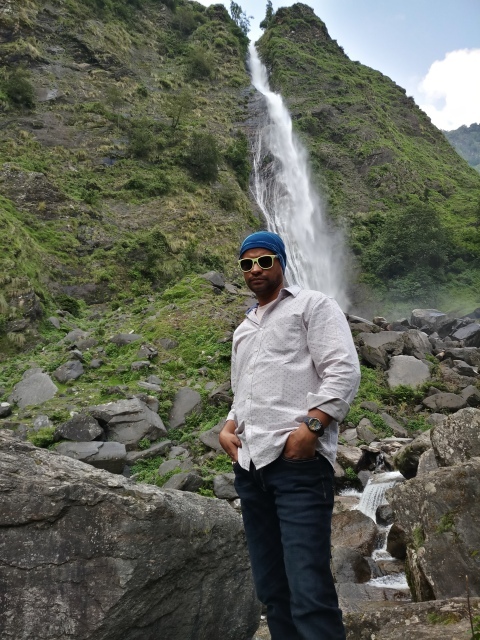 I am a die -hard KUMAONI….having studied in Rudrapur that forms part of the KUMAON Region plains from 1954-1957. 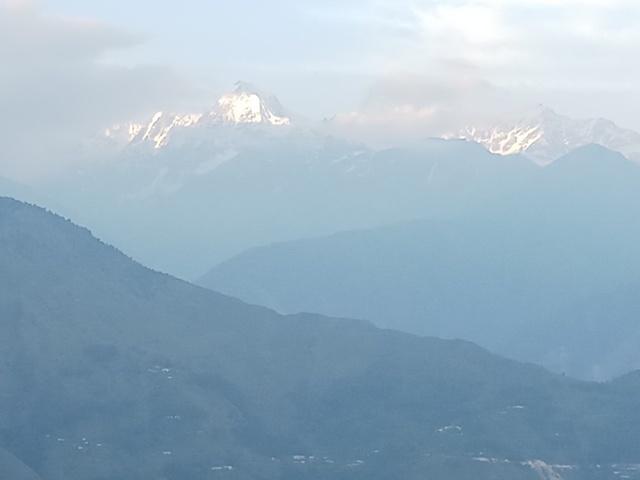 The Kumaon is one of the two administrative divisions of newly carved Uttrakhand hill state from Uttar Pradesh in the northern India that includes districts of Almora, Bageshwar, Champawat, Nainital, Pithoragarh and Udham Singh Nagar. Kumaoni language, a sub group of Pahari dialects is spoken by the people of the region. Every Kumaonis first love is to join the armed forces particularly the Kumaon Regiment and they are famous for their valour and have won numerous gallantry awards in numerous wars. Incidentally the first Param Vir Chakra was awarded the late Maj Somnath Sharma in 1948 War with Pakistan over Kashmir. In the Sino- Indian War of 1962, the Ahirs hailing from the Ahirwal region of Southern Haryana serving in 13 KUMAON set an unparalleled example in the military history of India by defending their motherland at Rezang La in Ladakh located in high altitude swept by icy winds. The Battle of Rezang La fought against the Chinese hordes on 18 November 1962 on a ridge 17,000 feet above sea level, overlooking the strategic Chushul plains in Ladakh, is one of the most glorious chapters in the history of the Indian Army and the Ahirs. This battle has been compared by many military historians with the famed battles of Thermopylae and Saragarhi. The ill clad and ill equipped Ahirs of the Charlie Company of the 13 KUMAON led by the undaunted leadership of Major Shaitan Singh ferociously fought till ‘the last man and the last round’ in temperatures of minus 30 degree. Of the 120 defenders, only three survived, and these three were severely wounded. The rest, including Major Shaitan Singh who was awarded Param Vir Chakra posthumously, were discovered after the winter, frozen in their trenches, holding their weapons but with no ammunition to fire and defend. Kumaonis fought well in the battles of Gadra and BP 638 in the desert theatre in 1971 War and equally excelled in the Kargil War. They have the unique distinction of producing three service Chiefs -Generals Srinagesh, Thimayya and Raina. There numerous battalions have served in the United Nations Peace keeping operations in Congo, Somalia, Sudan and Ethiopia. I spent many years & moments of joys in the pristine hill station Ranikhet in the Kumaon Hills. This region is famous for haunting music, valour, the KUMAON Regiment & its teri topi and Baal Mithai. Nice post…pics are also beautiful…but while driving please concentrate on roads only…especially while driving 186 kgs RE…otherwise Savdhani Hati Durghatna Ghati…best wishes for your future journeys…thanks for sharing.